James Bond: There's some men coming to kill us. We've got to kill them first. James Bond returns in this 23rd entry in a series that is now celebrating its 50th anniversary. The enduring character has gone through a lot, from secret volcano lairs, to undersea hideouts, to up into outer space. Since Daniel Craig has taken on the role of Bond, the character has since become grounded in a somewhat more plausible reality than some of the more outlandish entries (very similar to Dalton’s days, actually). Unfortunately, following the superb Casino Royale, my hopes were incredibly dashed by Quantum of Solace, which I considered the biggest disappointment of 2008 and one of the lesser entries in the Bond series as a whole. Moving up to present day, it was my great pleasure to not only have my anticipation for Skyfall reignited by the fact that it looked to be great, but to now have seen the film and acknowledge it as a wonderfully entertaining, strongly acted, and beautiful-looking entry in the series. The best part is that this presentation of Bond feels like a Bond movie. Skyfall kicks into high gear quickly, as the opening sequence, set in Istanbul (not Constantinople), finds Agent 007 (Daniel Craig) chasing an assassin who has stolen a hard drive containing all the names of undercover NATO agents in terrorist organizations. Unfortunately, Bond is accidently shot, taking a big fall, which allows the assassin to get away (spoilers, James Bond does return). 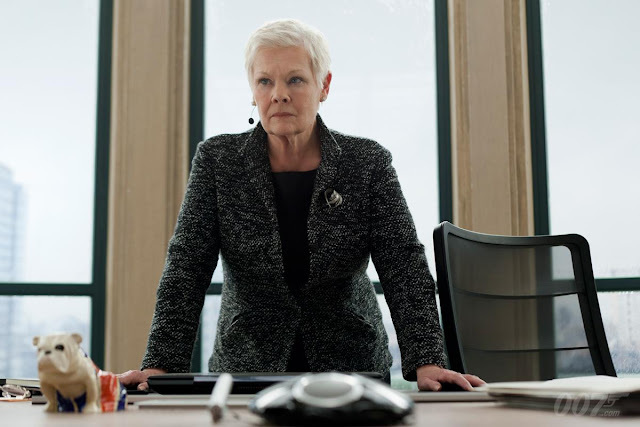 As M (Judi Dench) deals with the supposed death of her top agent, things get much worse, as MI6 is attacked and is forced to move to a more secure location. Bond returns, in a wounded state (in more ways than one), and is assigned to finding out who is responsible. 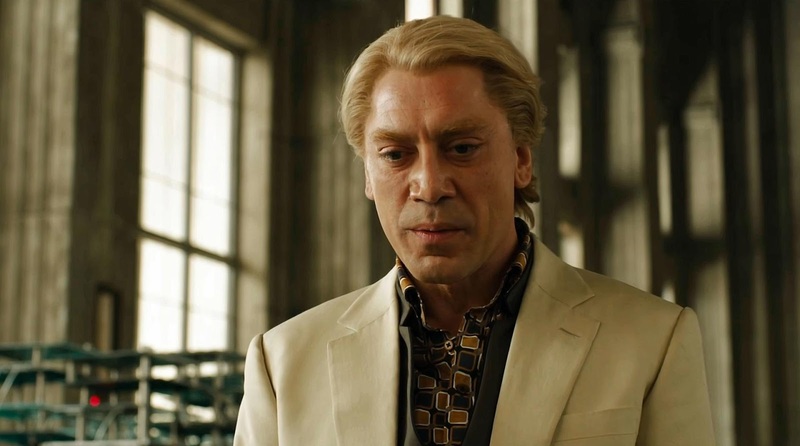 This leads to Bond traveling to various locations such as Shanghai, Macau, and Scotland, as he faces off against a cyberterrorist, Raoul Silva (Javier Bardem), who has revenge on his mind and shares a connection with his fellow double-0. Vodka martini-shaken madness ensues. 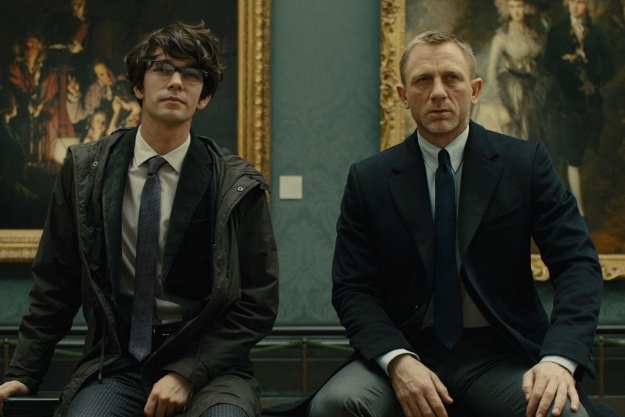 The film also features a supporting cast that includes Ralph Fiennes as Gareth Mallory, the Chairman of the Intelligence and Security Committee, who wants to help M. The new Quartermaster (Q, played by Ben Whishaw) is established as well, providing Bond with a couple neat toys. Naomie Harris costars as Eve, a field agent, who may be better suited to staying in the office. Berenice Marlohe enters as another glamorous Bond girl, who has a connection to Silva as well and is scared to death of him. And lastly, Albert Finney shows up as Kincade, who has a past relationship to Bond. It is a great cast for a super-sized film, which firmly cements itself as a grand entry into the series. Something I noticed throughout this Bond film is that Sam Mendes clearly seems to be having a great time directing it. I do not want to keep harkening back to why ‘Quantum’ was a big miss for me, but that film feels more like a mix of Marc Forster putting together the more low-key scenes, while he let his production team handle the more exotic and action-y aspects. As a result, it feels kind of impersonal. Mendes, on the other hand, seems to have his hands all over this film. Regardless of the work done by first and second unit directors, the editors involved, and Roger Deakins as cinematographer, this feels like a film where everyone was on the same page and it was all put together by people who are fans of Bond movies. Much like Martin Campbell with Casino Royale, Mendes directs the hell out of this movie and makes sure all the money is on screen in terms of its budget. To speak a little more about the cinematography, Skyfall is flat-out beautiful to look at. This movie could be shorter if it did not want to linger so much on a lot of the locations that Bond visits, but it really did not bother me, as the film is so visually full of life. Deakin’s work on making an intense, cinematic feature pays off in spades, as he gets those great shots of the environment and also creates distinct tones for the various settings of this film. A fantastic-looking sequence taking place in Shanghai is just one of the highlights. And, as this is a good place to mention the beauty of the filmmaking, I really enjoyed Thomas Newman’s score for the film and how it worked with the tone of the feature, as well as the way it incorporated Adele’s wonderful Bond theme. 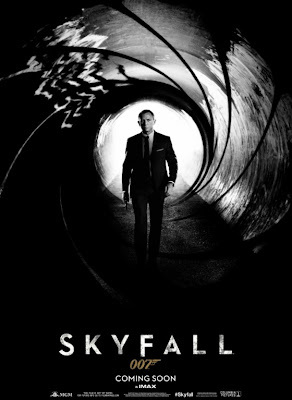 Getting to the more Bond-related side of things, Skyfall is basically the most recent version of a classic Bond story. 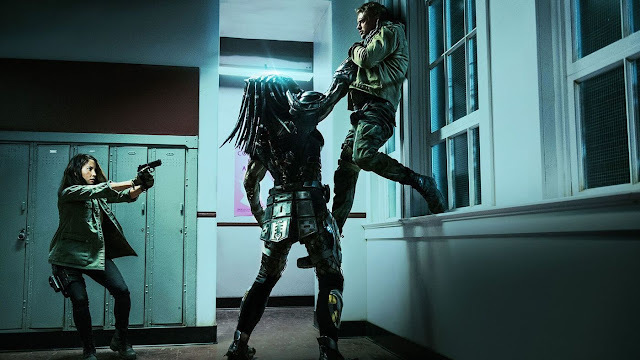 While some of the stakes skew on the personal side this time around, the film does like almost every other film in the franchise and incorporates elements from previous films in the series, while utilizing elements of what works in the action films it is up against. Mendes has stated that The Dark Knight was the biggest influence and that very much shows here. 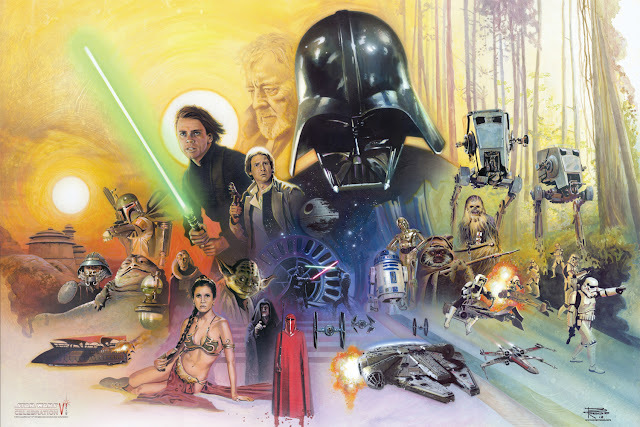 None of this is much of a mark against the film, however, as it simply goes about being the Bond film it is by incorporating these various elements, which makes it very successful in doing so. It is because I saw elements of GoldenEye, The World Is Not Enough, and even You Only Live Twice, among others, that I was happy to go along with it, as opposed to seeing another entry that tried hard to be nothing like its predecessors. That’s the other thing. I was really happy to be watching a Bond movie that felt like a Bond movie. 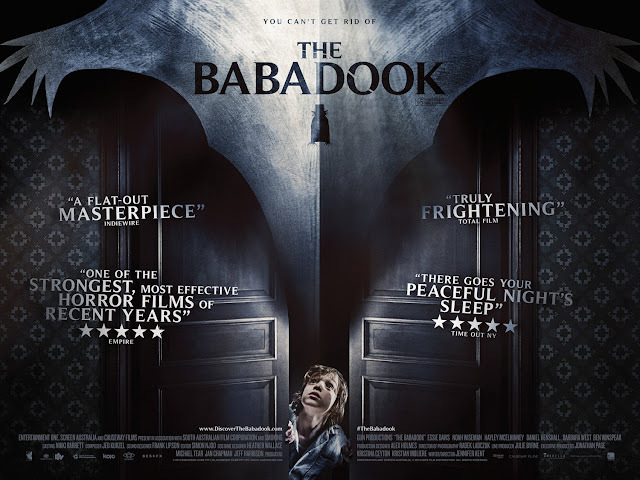 The film has a fairly serious tone held throughout, but it does have the moments of whimsy that make it highly enjoyable to watch. Bond gets to have his little quips, flirt with the female characters, interact with Q, and goes about his mission in a generally suave way that can only be described as doing things “Bond style”. It is something I was missing in Craig’s first couple entries, but this film is now showing me the James Bond I want to see on screen. Regarding Craig, he is very good in this film and comfortable in the shoes of Bond. 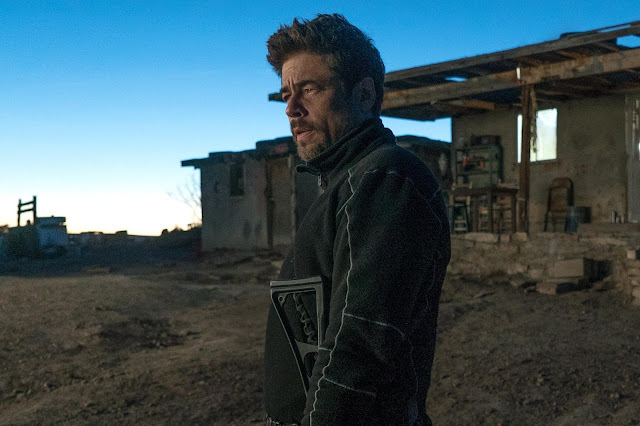 His issues may be a little more simple (he got shot and is basically just feeling shaken up about it), but he is still embodying the role with a three-dimensional personality that makes you aware that there is more going on with him. Judi Dench is certainly worth noting, as she gets a ton to do in this film, with a greatly expanded role for M this time around. The relationship between her and Craig has been a highlight for this era of Bond and Skyfall does not disappoint. The last person to mention is Javier Bardem, who is clearly having a blast playing a Bond villain. He is certainly not trying to outdo his own turn as Anton Chigurh in No Country for Old Men, one of the best film villains of recent years, if not ever, but his fairly flamboyant presence is certainly a great counter-balance to Bond. Only a few things held this back from being an all-time favorite Bond film for me and they mainly had to do with the series trying to establish purpose, which felt fairly unnecessary. There seems to be an agenda, addressed from M’s point of view, where the series needs to justify its existence, when I really did not see why, let alone have already seen it in the past (explained by Judi Dench in GoldenEye) no less. There was also the general simplicity of the story (Silva wants revenge, Bond was injured, M makes sad face), which did not necessarily lend itself to the entire 2 hour and 23 minute running time. 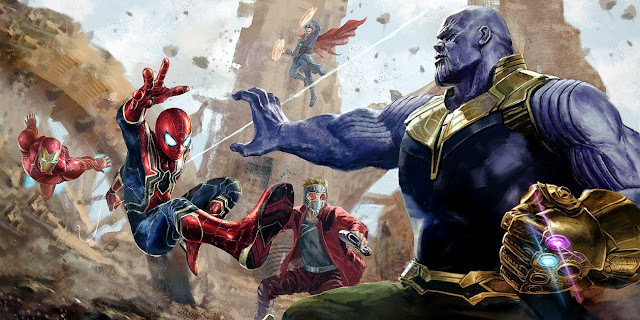 I was also a little hesitant about having the film be so pandering to fans in regards to some certain elements introduced in the film (though there was one pleasing thing that came from all of this). Still, these are all just little things that slightly took away. Getting back to the grand scheme of things, the last thing I want to touch on is the action and its sizable scale. 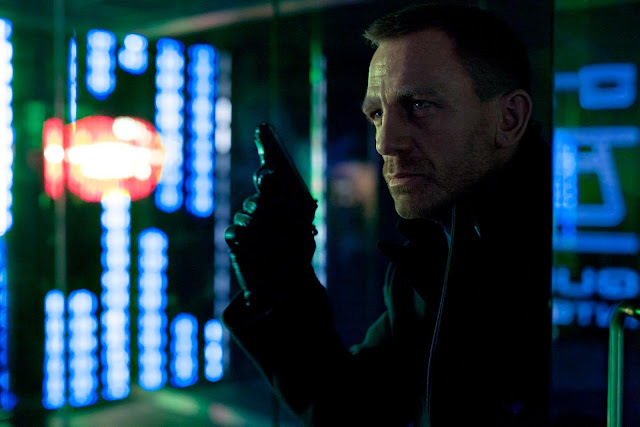 First things first, see Skyfall in IMAX, while you have the chance. The film was not shot with IMAX cameras, but the presentation on a true IMAX screen is larger than a regular theater’s and the film benefits from feeling so large. The action in this movie is great fun to watch and while I am happier with Daniel Craig’s scrappier fights, an all-out car/motorcycle/tractor/train chase is pretty amazing to watch. Again, this film goes for embracing the spirit of a Bond movie and it is better for it. I am a James Bond fan. Everyone has their favorites and least favorites (Connery is my boy, but I support Roger Moore more than most), but when a new Bond film comes around, it always feels like an event for me. Having revisited the vast majority of the film series, before seeing Skyfall, it certainly feels like a special time when I get the chance to watch the latest entry in this franchise. When Casino Royale came out, I was incredibly satisfied. That film may be more of a film about how Bond became Bond, rather than a true ‘Bond film’, if you get my meaning, but it has a glorious sense of scope that makes it incredibly entertaining to watch. Quantum of Solace was a step back, feeling more like a Bourne wannabe than an actual James Bond adventure. Skyfall is a wonderful return to form. It is a great piece of entertainment that is made strong by the high level of skill involved behind the camera and seen on camera. 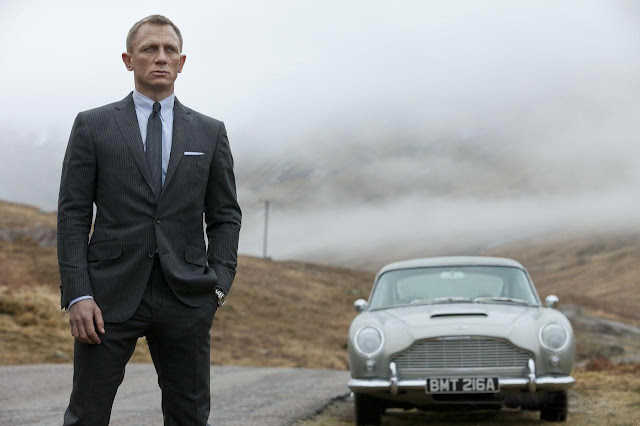 James Bond is back and Craig delivers on playing the character with plenty of cool.